Can we define Social Video as the brand ambassador for the Beauty & Cosmetics Industry? How will the reputation of the Beauty & Cosmetics Industry be if no Social Video? The Beauty & Cosmetics Industry are showing major impact in present global market as they become the part of the consumers to follow every day. All these changes are acquired with the makeup of social video that works as the brand ambassador for the Beauty and the Cosmetics products or services. The use of making online conversation with the consumers will show more impact on Beauty and Cosmetics brands. That means the social video platforms where their brand is featured can discuss the product and can fill the consumer doubts through feedbacks. It also used to disclose the arrival of new beauty and cosmetic products in the market. It helps the customers to know more about your brand. Sticking to one social video platform will not project the expected results. Hence, it’s better to engage the audiences from all the social video platforms. That means it works as the best brand promotion strategy that clutches the millions of customers. By the way, many social video platforms are arriving, and it is difficult to find where the brand can reach the customers. The collaboration with the Social Media Influencers is the major aspect that generates the huge sales for the beauty and cosmetics industry. Many creators and sometimes brands are becoming the influencers to elaborate the brand at the fans. The customers are reaching the brands from the word of creators what they discussed in the video. Most of the brands will attain the native reviews about the particular product if one of the customers is not satisfied. It is better to respond to the customers that satisfy them at least single way. It builds the reputation of the particular brand by ejecting firmness of that brand. If we take YouTube, millions of views about the product videos can be observed. The brands can find the best tactic of analyzing such videos and build their niche to engage with their products. Also, which type, brand, and categories of beauty and cosmetics are required for the customers can be found. Most of the beauty brands are engaging the social video channels by maintaining the brand consistency. When the potential customer looks at the any of the brand’s profiles, then it can build the trust to purchase the product. The brands are buzzing on the social video channels by delivering the makeup tutorials. It is one of the major tactics for them to attain the attention of the millions of customers. There is number of Social Video Platforms are available in the present market, but only a few of them are sketching their social presence by reaching the billions of audiences. Few of them are YouTube, Facebook, Twitter, Snapchat, and Instagram, etc. Facebook is the branding video calendar for the beauty and cosmetics industry. Plenty of the beauty brands are using the Facebook video as the brand promotion strategy where the autoplay video ads are displayed while scrolling the Newsfeed. In this Facebook video ad, they show how do they make up that looking amazing. It has become the trending promotional video platform for all the beauty brands. Millions of cosmetics videos can be found on Instagram. As it has millions of users, it is making the beauty brands to explore their brands with excellent video content delivery. Twitter is the only way to reach the live customers as it contains the millions of active users. The immediate response from the audiences can be observed on Twitter. The virtual reality and augmented reality are the trending concepts in the social media. This type of videos will give the most immersive experience of using the brand’s products in the real time. Some brands are making advancements to use this technology to catch the audience attention. The beauty brands can reach the customers and let them make the online purchasing by delivering the crusted video content on social media sites. Also, the brands can share the videos with the customer using product placements. The brands can use the apps that show the trails of using different flavors of lipsticks that makes the person look differently. This type of activity with the fun will generate huge sales. The influencers on social video channels are the most trending in the marketing world. The target of the customers through influencers can reach the social media audiences to turn them into the potential customers.Infliencer Marketing plays a crucial role for Beauty and Cosmetic Promotions. YouTube is radically transforming the Beauty industry. The major brands generated 14.9 billion Video view only through YouTube. The legacy brands left behind when it comes to consumer engagement. There is a big difference between the video created by Branded content and non-branded video content. The Branded videos use efficient YouTube strategy and incorporate their video marketing into online campaigns. Only 3% of the content from YouTube is branded content and remaining 97% of the video content is from non branded video content. For example, if we consider Hulu Girls conversation is all about promoting Beauty and Brands. According to statistics the YouTube Beauty Vloggers have 10 X times more video content than the Beauty Brands. They publish 7 X times more than the Brands. Influencers play a crucial role in Beauty and Cosmetics Industry. An influencer is nothing but YouTube Beauty Vloggers in Beauty & Cosmetics Industry. Teenage girls from different countries are producing their makeup videos and uploading on YouTube. A big market budget does not necessarily translate into big views. If it’s a branded or non-branded content does not depend on budget. It’s relay on how efficiently you reach the targeted audience. For example, if we consider Dove. Dove brand campaigns are attracted almost 237 million views on YouTube. 70% of the traffic generated for paid ads. The brands should remember that the television advertising mentality does not work on YouTube for their Beauty & Cosmetic Brands promotion. Brands should maintain the following strategies to the remaining top on YouTube. They Create more content, engage with your audience, thinks different on creating YouTube videos, invest in channel management and optimization and convert your audience into sales. The social videos are the powerful tools for marketing the Beauty and Cosmetics products. Brands should apply some strategies to social videos campaigns mainly to overcome the Competitors. Come up with the best video to stand out better than the other dozens of the Beauty and Cosmetics products. Here are the few best practices to leverage the power of social video to gain more attraction for your Beauty & Cosmetics Products. Facebook has become a powerful tool to drive the number of sales parties to your websites. 1.23 billion daily active users for Facebook and an average user has more than 338 friends. 74% of the consumer’s product buying choices depends on the social media influencers. The proper use of social videos on Facebook can lead the high sales, and word of mouth also show the great effect on Facebook. The Biggest key to the success of social selling finding the real communication through Live Streaming. The number of beauty related products challenged on the face -to-face interactions. Live Streaming gives a way to engage with customers through Facebook Live, and YouTube Live effectively. It drives more feedback for your products. The primary goal of marketing the Beauty & Cosmetic Industry, is it should involve more than making the sales. It must be about making the loyal customers. This will happens only through quality content. Follow the 80/20 rule, where it includes only 20% of sales related posts and the remaining 80% of contains highly engaging and valuable content. Leverage the power of technology in your advertising campaigns. If you have more social contacts to your accounts, you will be busy with the loyal customers. Use the tools which can schedule and publish all your social video posts on Facebook, Twitter, YouTube, and Google+. You have the number of tools available on the market use the appropriate tool.Instagram plays a vital role in Beauty and Cosmotics Product Marketing. 79% of the consumers say that they use an Online Video Tutorial for “How to use the beauty products” and “How to Tutorials for Fashion and Style”. Focus on the targeted audience needs and also consider basic needs of the consumers to attract all types of audience. Maintain consistency in publishing the beauty related product videos. The people who subscribed your channel will eagerly wait for your next update. 95% of the people Prefer YouTube to get beauty related advice or beauty related content. An average of 2.1 million channels subscribers for YouTube ’s top 15 YouTube Beauty Vloggers. More than 700 million Beauty video views on YouTube. Among 3% of the Beauty Video views for the major Beauty Brands. The top 25 Vloggers have more than 155 X times more subscribers than the beauty brands. Beauty related video views increase 300 million to 700 million per month in just 3 years. Daily 75+ hours of Beauty related Video content uploaded on YouTube. 97.5% of the beauty related keywords search returns on Non-branded content. Almost 380 million Organic Views generated for User-created content. On recent updates, 82% of the Women influenced by the social media Beauty influencers. 30% of the Women stated the beauty products Purchasing decision depends on social media Influencers. 79% consumers aged 16 -45 follow the Online Videos how to use beauty products. 86% of Adults stated that social video is the best guide for beauty related products. Social Media has changed the beauty Industry. 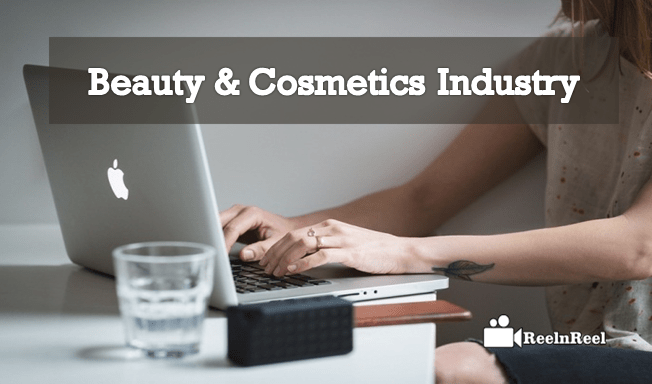 Among all Social Media Platforms, YouTube plays crucial role in improving the Beauty & Cosmetics Industry Sales. How to Create TrueView for Shopping Video Ad Campaigns?